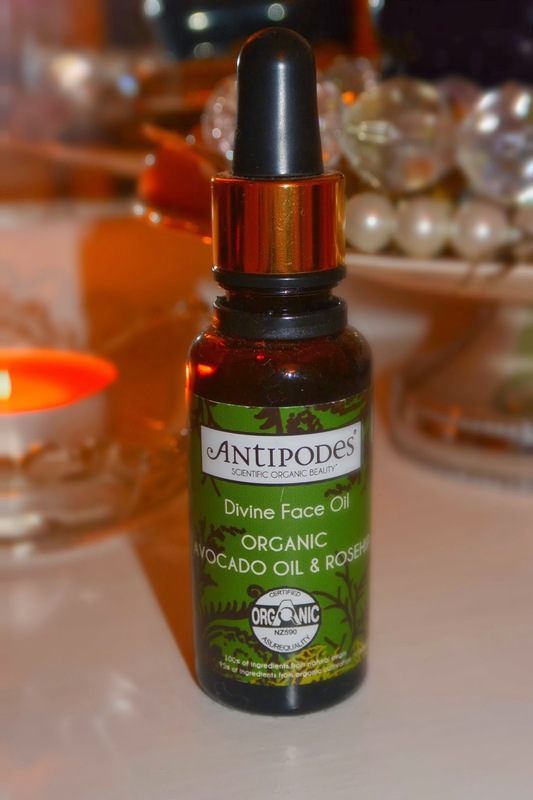 Another Antipodes post for you today, I'd been on the hunt for a rosehip based face oil for a while when I stumbled across the Antipodes Divine Face Oil, this is a blend of Avocado and Rosehip oils to moisturise, protect and heal skin. The Avocado oil moisturises the skin and helps with fine lines, the Rosehip oil helps with pigmentation and scarring. As with most Antipodes products it's all natural and certified organic which as you may have spotted, is definitely something I'm leaning more towards when picking my skincare recently and as you know, Antipodes is one of my favourite skin care companies - I've actually spotted that they have a make up range out as well so keep an eye out for reviews on that as soon as I can hunt some of them down. Anyway, back to the divine face oil, this smells so, so good, it has a very faint rose scent with a hint of sweet orange, which is present in a lot of Antipodes products but it really does smell amazing. The product claims that it is "Scientifically shown to stimulate Type 1 collagen in human skin fibroblast cells by up to 51%"
Which is quite a claim and one I can't really prove but am happy to live with this and trust the lovely people at Antipodes. I tend to use this more in the evening, just because I don't really like applying my makeup over an oil but there's no reason why you couldn't apply in the morning as well, I also tend to apply instead of a moisturiser but if you have quite dry skin, you could apply this before applying a moisturiser, in fact, if I'm ill or have had a heavy night, I tend to apply this along with my Estee Lauder Night Repair and my Origins Night-A-Mins so that my skins getting a real whack of goodness and the three combined, really do sort my skin out. This is also my go to product if I can feel a breakout coming, it the rosehip works really well to prevent scarring and reduce redness and because I tend to massage this in when I apply it, it helps to calm down and reduce the spot as well. I'm a fan of killing a spot with kindness rather than stripping it and trying to dry it out and this product really helps with that. Application wise, this bottle has a little pipette in the bottle, it's quite a runny oil so I tend to put a few drops in my hand, rub them together and then massage the oil into my face, if I'm in a rush, I will just press the oil into my skin but I find best results are when I massage it in. 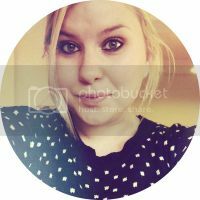 This product really does help to even out my skin tone and I find that the following day I can normally go without foundation because my skin looks clear, even and almost dewy. It also lasts for ages, you really don't need much, I use mine all the time and have done since last summer and I haven't even used a quarter of the bottle yet. I'm going to stop ranting about this now, but if you haven't already guessed, I love this stuff. Have you used this? What did ya think? 4 comments on "REVIEW // Antipodes Divine Face Oil"
I'm still on the fence about this product. I would definitely recommend following their suggestion to patch test - my under-eye skin didn't react too well (itchy red patches), though the rest of my face was alright. Also, as you point out, it lasts for ages but the suggested product life is only 6 months so would be good if the bottle was smaller. As per their suggestion, I used this in the morning and evening, before applying their moisturisers. I found that applying the oil+moisturiser combination does leave an oily face. I'm ok with this during the night but not during the day. Will wait another month or so to see if there are any benefits for me. Thanks for your review. The editors will take no responsibility for such material.certified organic skincare any permissions required by using changes in textual content or presentation, or introduced snap shots requested by the editors, have to be received by using the author.